Well, the results are finally in. A Foley in and a Foley out. And, no, we’re not talking about a Foley catheter- although the results are almost as painful to think about. Lifetime politician Dan Foley is officially out of office and off the government teat. Foley, the son of a local judge has never had a job outside the smothering warm arms of the Montgomery County Democratic Party. Starting as an intern in Tony Hall’s office up to patronage jobs in the Clerk of courts office and then public office first as a clerk of courts and then as a county commissioner- he has officially lost to a guy named Smith. J. Todd to be exact. This is what happens to Dems who try to win seats that cover adjoining solidly Republican counties. Of course, had Foley run in Montgomery county- he would have won, just on his good name- well, except, another Foley, Mike, did exactly that according to Dan. He even tried to accuse Mike of stealing his last name in a support video for another party crony, who lost to Mike Foley- in the election and the recount. Now the problem is that boards of elections actually insist that you use your given name on the ballot. It was such a problem for Idotha Neal, that she went and officially changed her name to Bootsie so she could put it on the ballot. All this arguing about what name people should use to run for office is getting old. 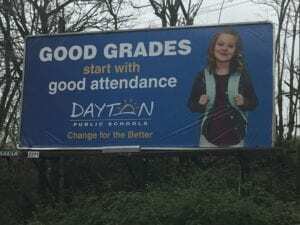 Have you heard a Dayton Public Schools ad on the radio or seen a billboard lately? It’s because you have to spend money to make money. That means “count week” is coming up- where the state comes in to physically count how many students are enrolled with each one counting for a nice chunk of tax dollars. Uh, what better? You’re the worst district in the state- and honestly, good attendance starts with reliable bus service. DPS hasn’t yet mastered the art of actually picking up students to bring them to school- never mind what happens inside the buildings. And if DPS really cared about attendance- instead of paying for ads, maybe they should pay for transportation for high school students? Oops- did I just say something smart. I’m sorry. Latest horrible news that you won’t hear in the local news- is that there seems to be a vendetta against white women teachers going on in Charity Earley Girls Academy- where two well respected teachers were fired for supposedly saying the same odd thing in two classrooms and now another one just resigned after also being accused of something bizarre. Look, DPS- 20% turnover in staff is unacceptable. It’s part of the reason you are dead last in the state. Maybe if you realize that respecting parents, students and your staff is the first step toward moving out of the dumper- you might actually get somewhere. Last but not least, this news in from Greene County where once again tax dollars are being diverted to provide corporate welfare. Radiance Technologies, an employee-owned defense contractor headquartered in Huntsville, Alabama, has outgrown the space at its current Beavercreek office, prompting a move to another Bob Mills project. You know Bob- he’s the guy who’s made out really well as a Wright State booster who seems to keep getting paid back 10 to one on his donations to the university. Now, he’s building a new office space for Radiance- and Jeff Hoagland, Julie Sullivan and the entire team at the Dayton Development Coalition have supported the project. What project is that? Radiance Technologies was one of two companies awarded grant money through the Greene County Community Improvement Corporation’s Economic Development Incentive Program (EDIP). 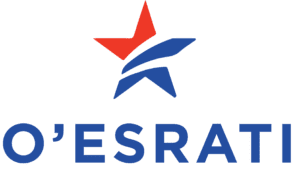 The amount of public funding given to the company was not disclosed, but will be used toward its relocation efforts. Seriously? The whole company relies on public funding- our defense dollars. Why are you paying double for this? You know what the number one Economic Development tool is for Greene County- specifically Beavercreek? No income tax. But, keep giving the money away to a company that would have located there anyway- and see how long the coffers still have money to burn. While we’re on the subject of corporate welfare, you know that extra half percent sales tax we pay in Montgomery County for RTA- well now, employees of Care Source and Premier Health can park on side streets along the free circulator route downtown and not have to pay for parking downtown- well, anyone who works downtown can do it for that matter. This free circulator route idea is awesome, and it just started a month ago- and I’ve been keeping an eye on the empty buses running every ten minutes every chance I get. I’m just waiting for DPS kids to figure out they can ride these for free- and see how fast we shut it down.